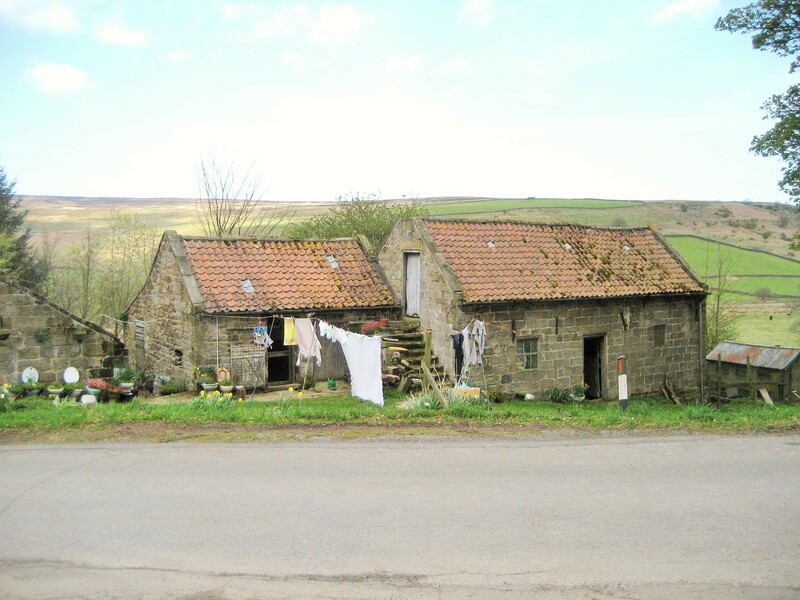 The North York Moors has a long tradition of folklore and legend. These precious tales form part of our local culture and have been passed down from generation to generation. By this continuation, local culture is conserved and sustained. 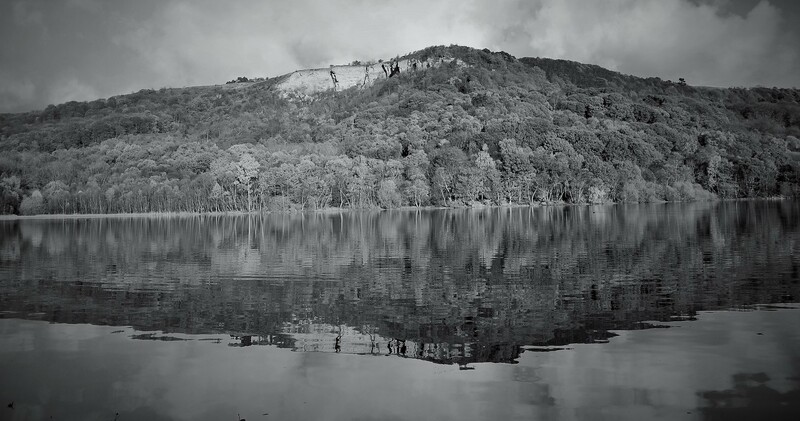 There are stories connected to many of the National Park’s iconic landmarks but perhaps none more so than Sutton Bank in the south west corner. The area has been settled for many thousands of years from the Iron Age onwards, so it is probably no surprise that there is superstition, myth and legend in abundance about this dramatic looking place. The retold story below is about why the site known as Whitestone Cliff is sometimes referred to as White Mare Crag – something to bear in mind next time you’re walking along the escarpment edge, perhaps as it’s getting darker and you think there is no one else around and then you hear the thundering of hooves. The story begins with an Abbot of Rievaulx Abbey. The Abbot owned a white Arab mare, which had been presented to the Abbey. The Abbot took ownership of the horse, as he thought much more of worldly possessions than religious duties. The mare by nature was mild and gentle, but take her up on the moor and give her full rein, and then she showed her true worth. In nearby Helmsley Castle lived a Knight, Sir Harry de Scriven, who was as fond of good living as the Abbot. 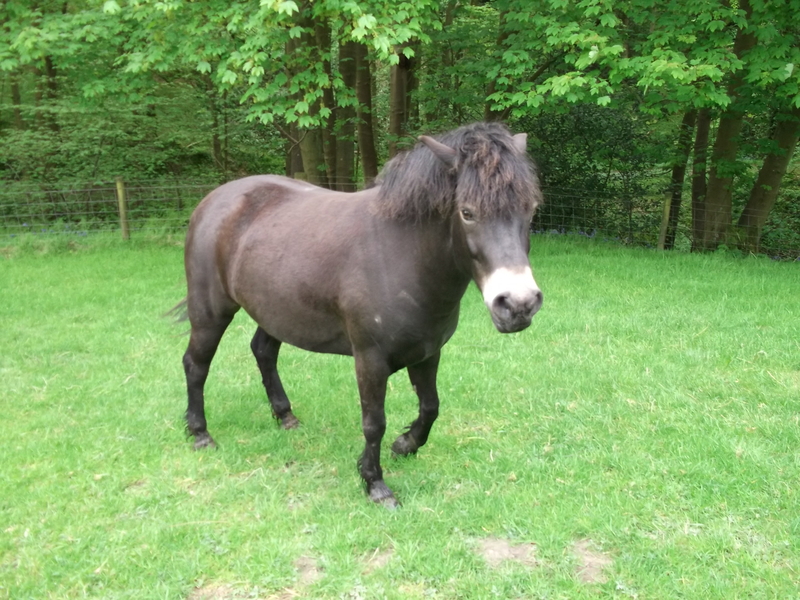 He too had a favourite steed, a black stallion with the name of Nightwind. He and Nightwind had a reputation for never having been beaten in the chase. Not surprisingly there existed a considerable jealousy between the Knight and the Abbot. One day after a hunting trip the Knight passed the inn on Hambleton Plain and decided to call in. Who should be there, but the Abbot. The two men ate and drank together whilst night came on and with it a strong storm wind which promised snow. After a number of hours Sir Harry seemingly recalled a message for the Abbot. A yeoman farmer who a few miles away over the plain was very ill and had asked the Knight to summon the Abbot to come to shrive and pray with him before it was too late. Sir Harry offered the use of Nightwind, surprisingly the Abbot accepted the offer and also agreed that the Knight, riding the white mare, should accompany him so far along the road, to show the way. The two men mounted hastily and rode off. The wind was blowing wildly; both horses felt the nervous excitement of the coming storm and somehow the ride moved almost imperceptibly into a race between the powerful black horse and the fleet white mare, and their riders. The mare took the lead but Nightwind, carrying the heavy Abbott, slowly drew abreast and then took the lead. Sir Harry grew angry and the sound of the Abbott’s mocking laughter from ahead did nothing to abate his fury. He lashed the mare, he swore at her, he swore at the Abbot and Nightwind, and then he swore at himself as he realised that the Abbot had not been fooled. The heavier man had the heavier horse, and for all Sir Harry’s skill in the hunt he couldn’t hope to catch Nightwind. Riding blindly on and on, using his whip mercilessly, Sir Harry completely forgot the landscape and where they were heading. It was too late when he finally realised that the horses were almost at the edge of Hambleton Plain with an eight hundred foot drop before them. A momentary struggle to stop the mare failed, her headlong pace was too great and so with a sickening plunge horse and man went over the cliff edge. As Sir Harry and the mare plummeted down towards the sharp rocks below, the Abbot appeared to sprout a pair of horns and a long forked tail and where there had been feet in the stirrups there were now a pair of pointed hooves! If you must play a trick on Old Nick! With those words ringing in his ears Sir Harry crashed to his death along with the little white mare. And the Abbot? 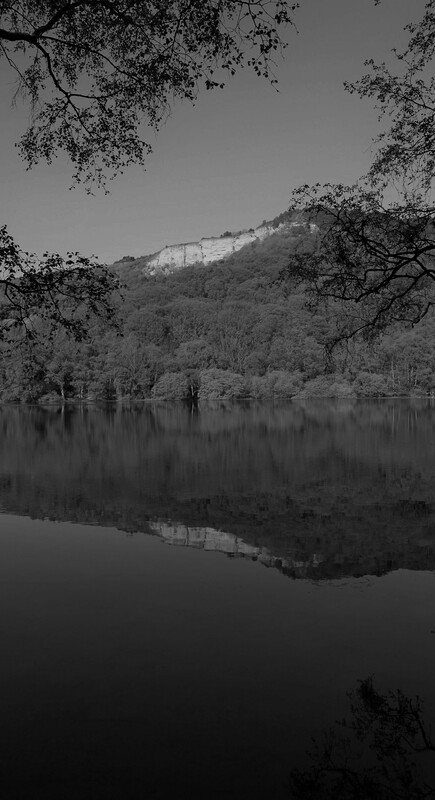 He and Nightwind disappeared into the waters of Lake Gormire at the bottom of the crag. A great hiss of steam went up as the lake boiled for a moment. Yet that’s not quite the end. 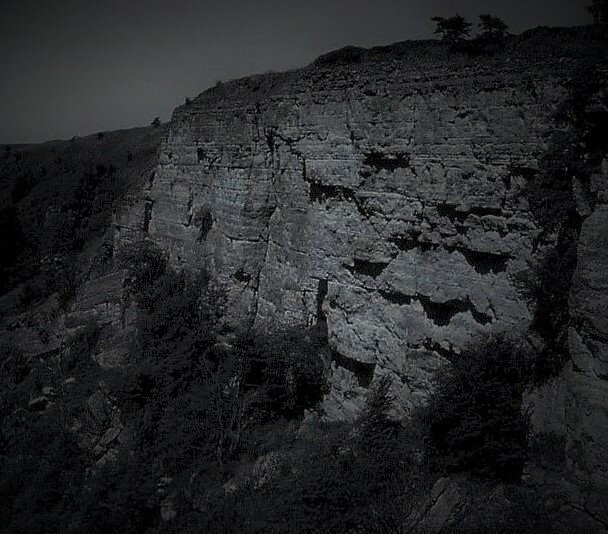 Until not so many years ago, people living under the Hambleton Hills would tell you how, when the night was stormy, the spectre of the terrified white mare could be seen plunging over the crag towards the stones below until suddenly she disappeared into thin air. And the dark bottomless Lake Gormire – that remains a well known entrance to Hell. 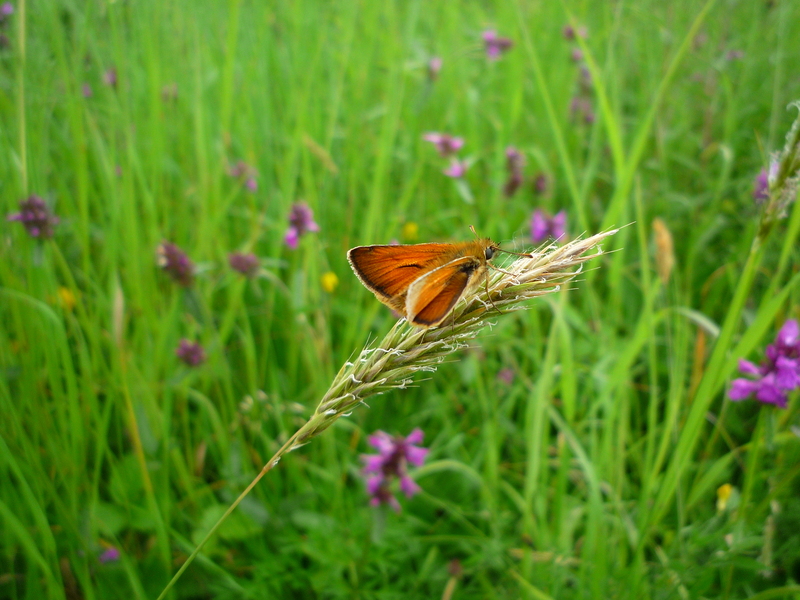 We’re always looking to make our grant budgets go as far as possible, and for our Linking Landscapes habitat connectivity programme this involves using a mix of delivery mechanisms to undertake the necessary habitat management on the ground. 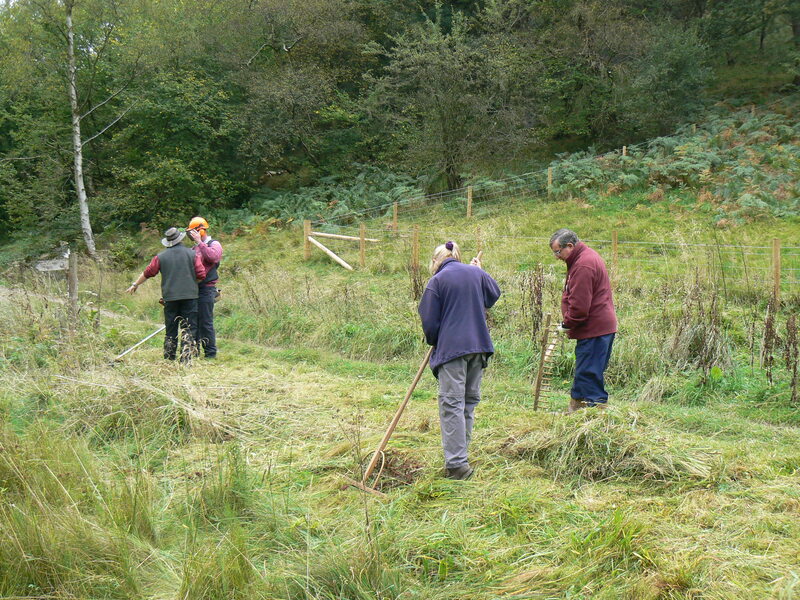 So working alongside land managers that means making use of local contractors, apprentice teams, and volunteers. 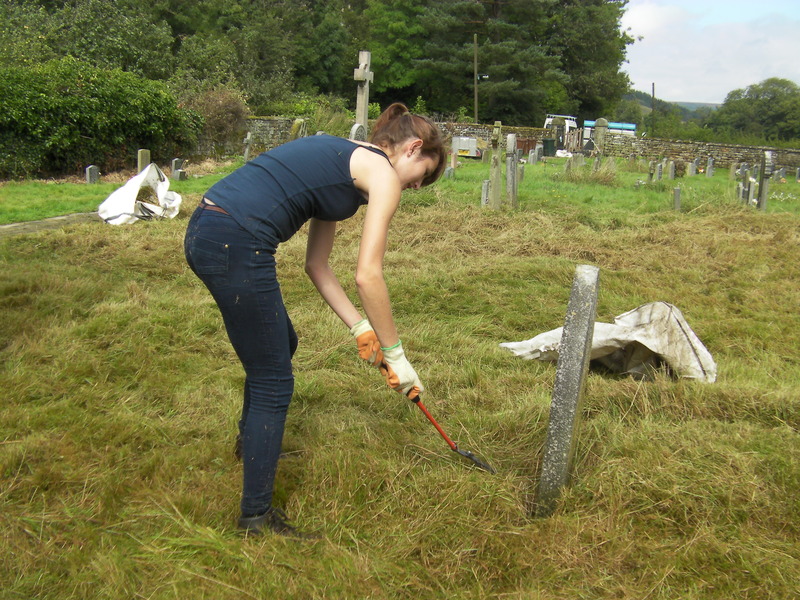 Volunteers from the Rosedale community were hard at work at the end of August with the annual management of the Rosedale churchyard mini-meadow. 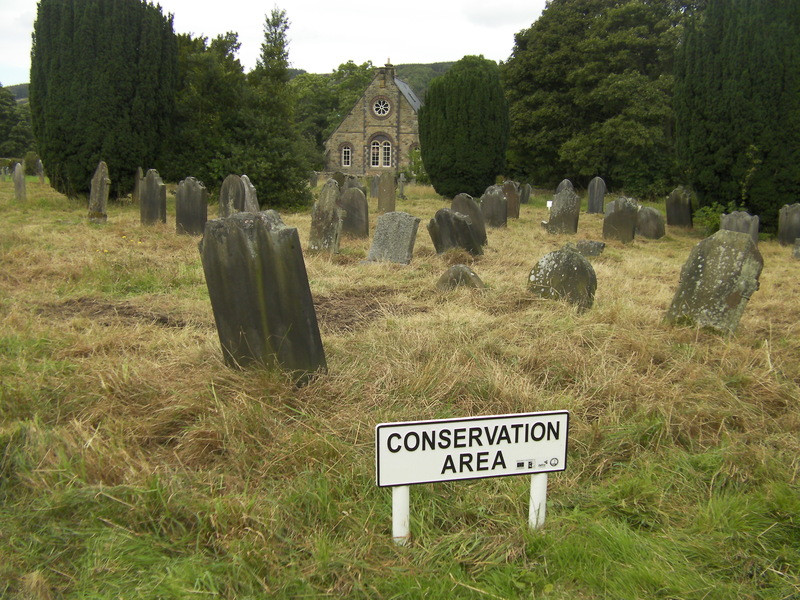 The conservation site in the churchyard of St Mary and St Laurence in Rosedale Abbey was initially established in 2011. Since then it has developed into a wonderful mini-meadow, with beautiful pockets of wild flowers buzzing with pollinator insects such as bees, butterflies and moths, which in turn support many birds. 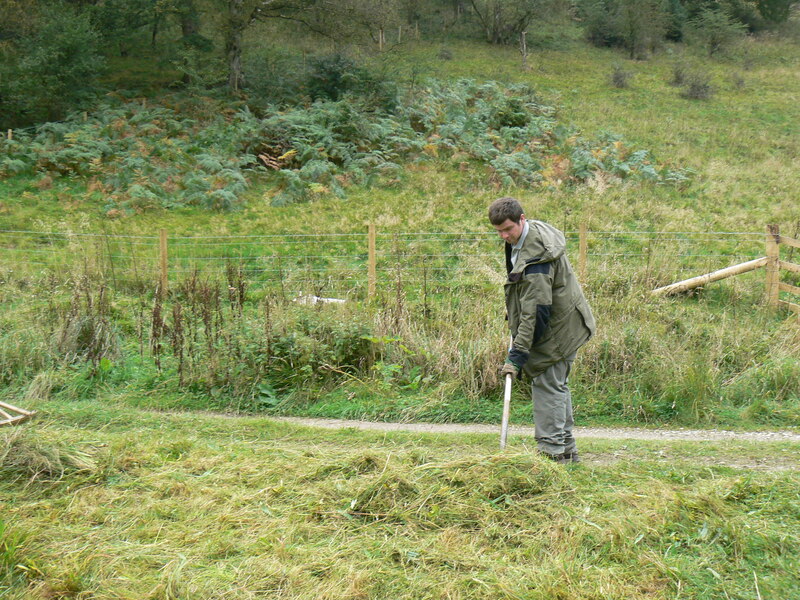 The site is also providing a home for small mammals and slow worms. 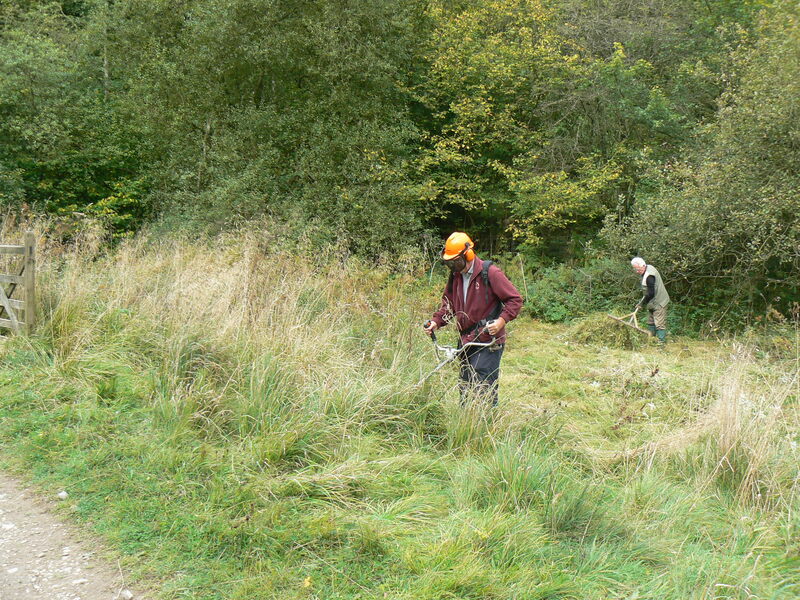 Once a year the mini-meadow needs a helping hand – after the flowers have all died back and set their seed, the excess vegetation needs to be cut and raked off the site to ensure unnecessary nutrients do not build-up. 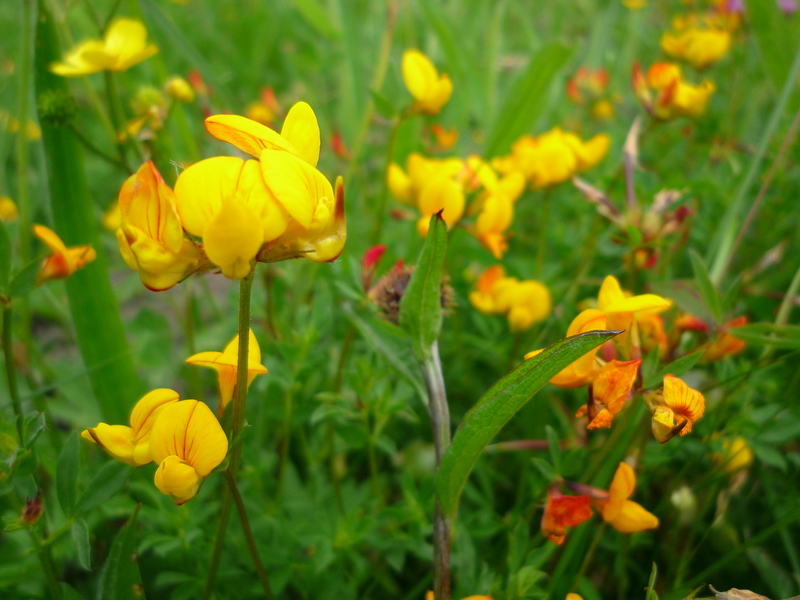 It may seem strange not to want a build-up of nutrients however wild flowers favour poor nutrient-rich soils. 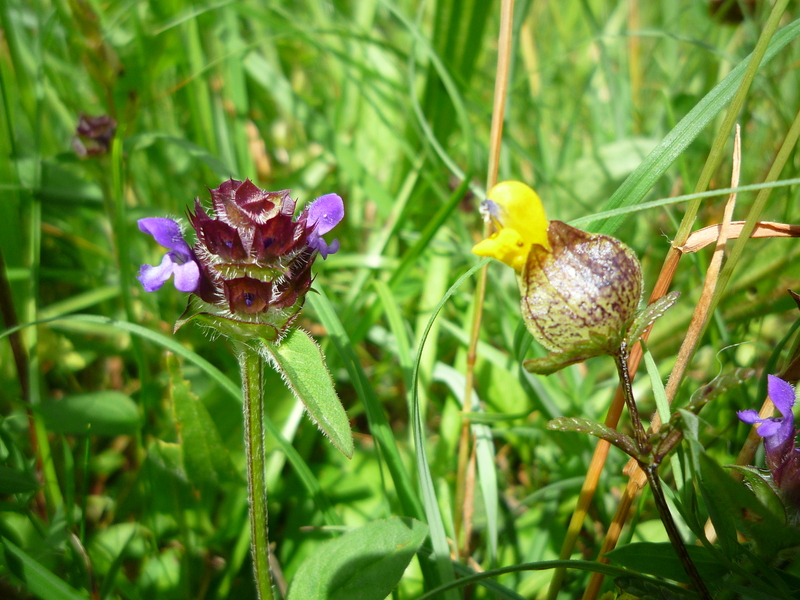 Additional local seeds from established meadows nearby were also scattered at the end of the day to encourage even more flowers such yellow rattle, red clover, stitchwort and knapweed to establish and grow. 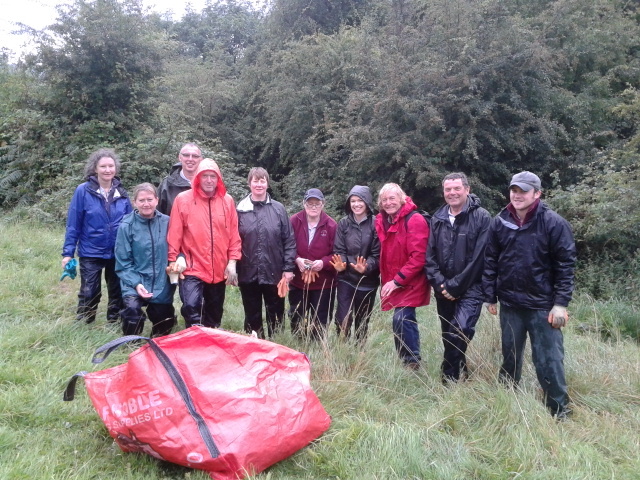 Keep up-to-date with Rosedale news and events – such as next year’s volunteer day – on their community blog. 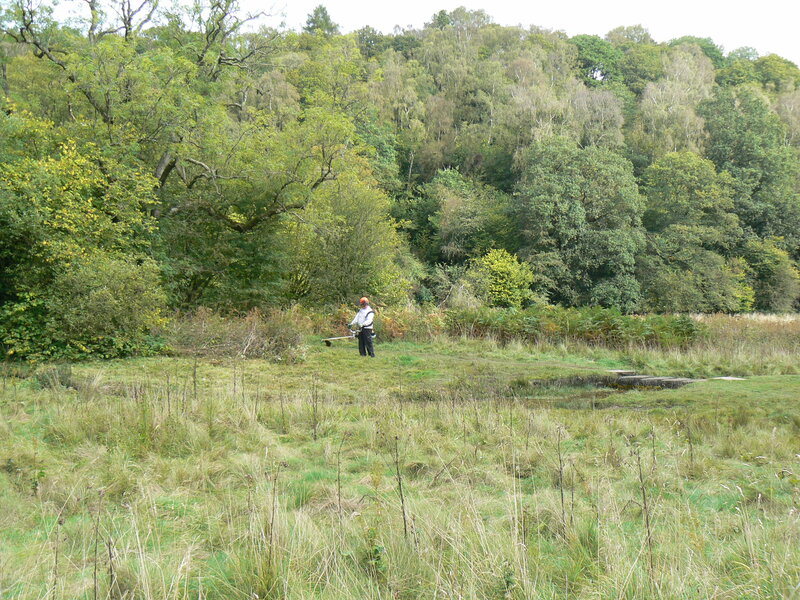 mire communities and rush pasture; and areas of woody blackthorn scrub and hazel coppice. The site is grazed by Exmoor ponies who are great at conservation grazing but they needed a helping hand to deal with these particular thistles which are detrimental to this particular site. This sort of management which needs repeat commitment is picked up in Land Management Agreements between the National Park Authority and the land manager. 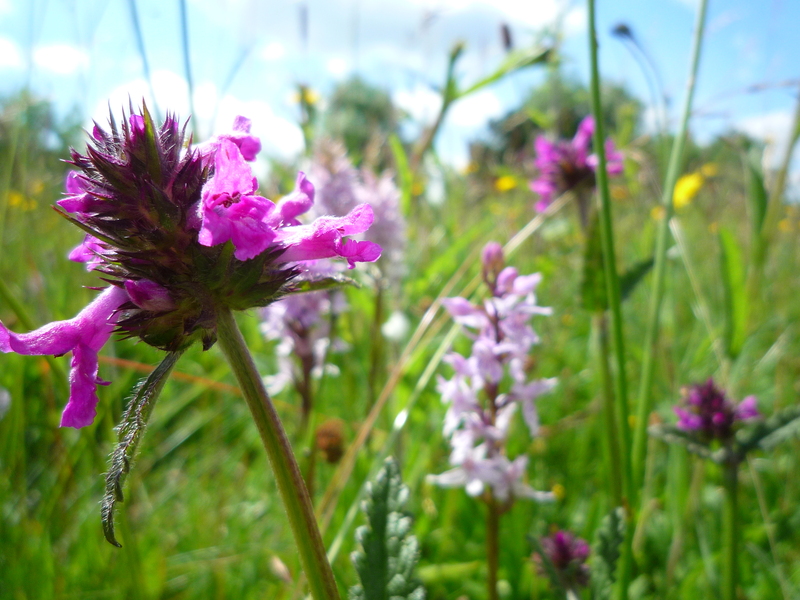 The Agreements last five years – it’s an EU/NPA State Aid notification requirement (click here if you’re especially interested) – and five years of repeat annual control of invasives and pernicious weeds will make an impact on the ground and enable better quality habitats to survive and flourish. We have a Land Management Agreement with the land manager of a site near to Scawton. 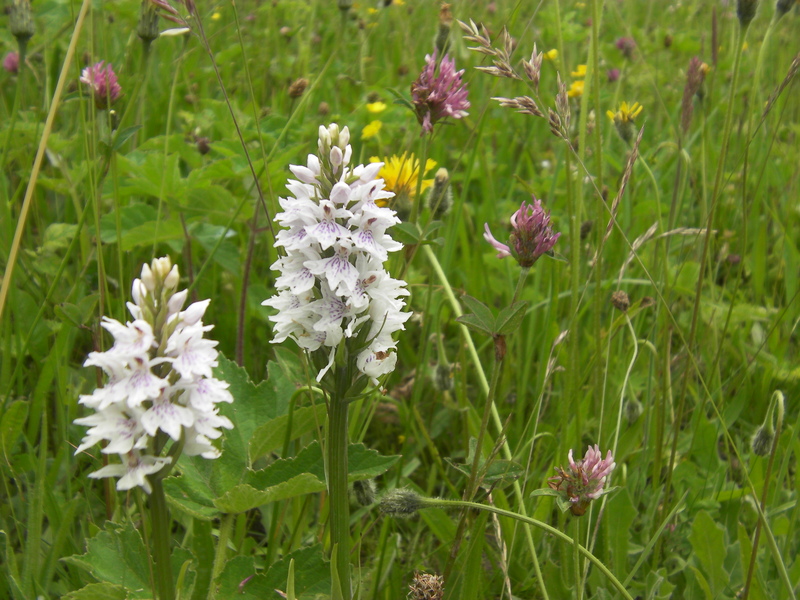 This particular farm includes a wild flower area where the species include orchids. 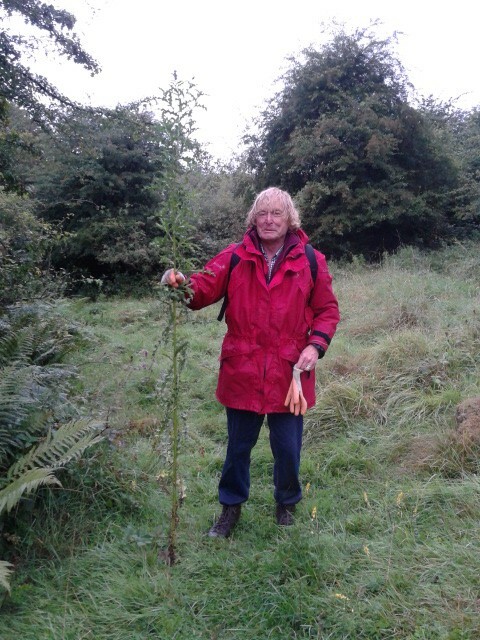 Often on a farm such sites would be grazed by stock and this would keep the vegetation in check and open up the dense matt of vegetation by the act of trampling. However in this case the area isn’t suitable for grazing because the Cleveland Way National Trail runs through it. 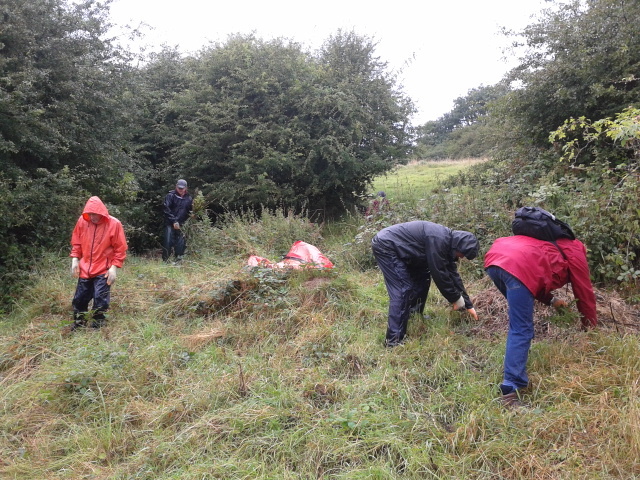 So to avoid the site vegetation becoming tall and rank our Conservation Volunteers strimmed back the dead vegetation after all the flowers had set seed and then raked off the debris. This was the first year this task was carried out so it will be really interesting to see how the site responds over the next few years. 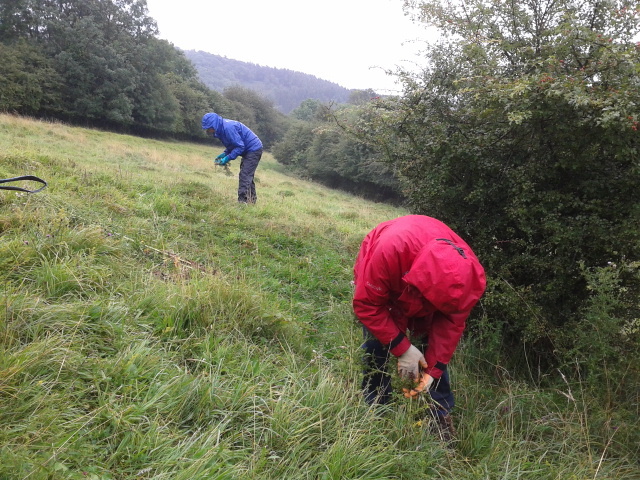 The site was one of those surveyed earlier in the year by our new Grassland Volunteers in order to establish a baseline species list. This monitoring will be carried out each year, along with the management, and will hopefully demonstrate an increase in abundance of the existing species, and maybe one or two new species as well. 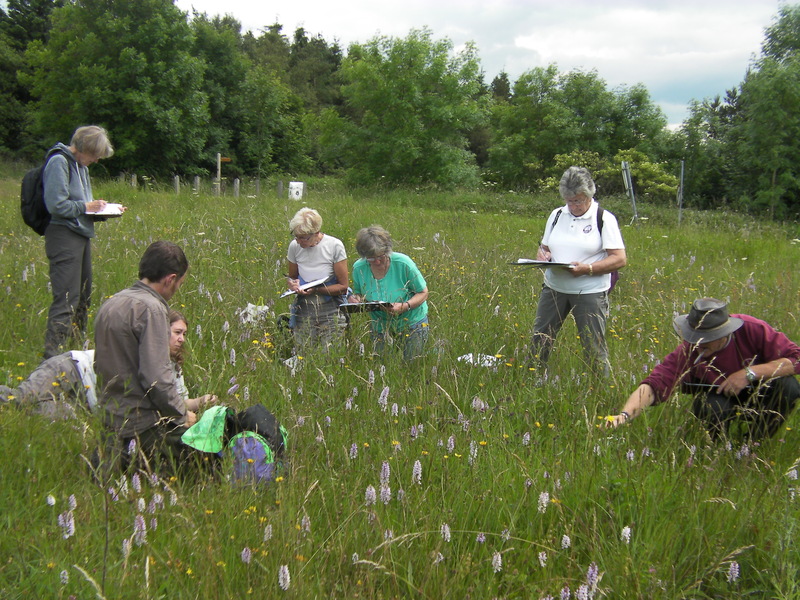 9 volunteers surveyed 14 sites, a total of 35 hectares of grassland. 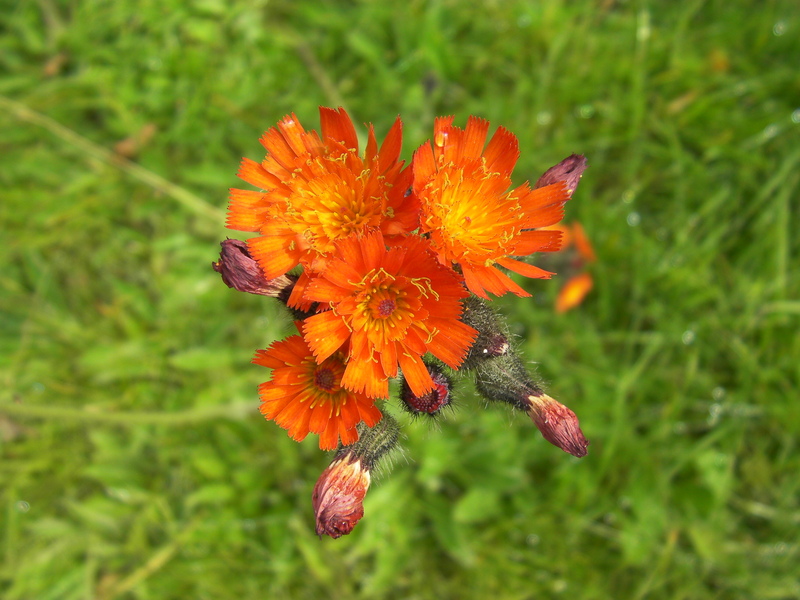 140 quadrats were surveyed and 159 different plant species were recorded. One of the measures for determining if grassland is actually species rich is that it must have at least 15 different species per 1m2 quadrat. 7 of these sites already have these characteristics, and 1 site had 25 species recorded in just one quadrat. 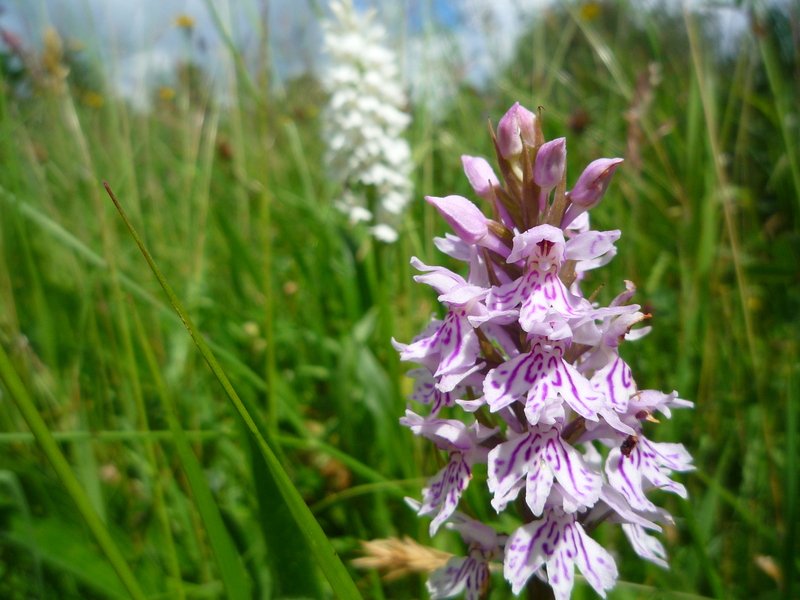 Our ultimate aim is to see an increase in the number of plant species at each site, year on year. The results from the Volunteers are essential to identify if this is happening. As usual, a big thank you to all our volunteers! 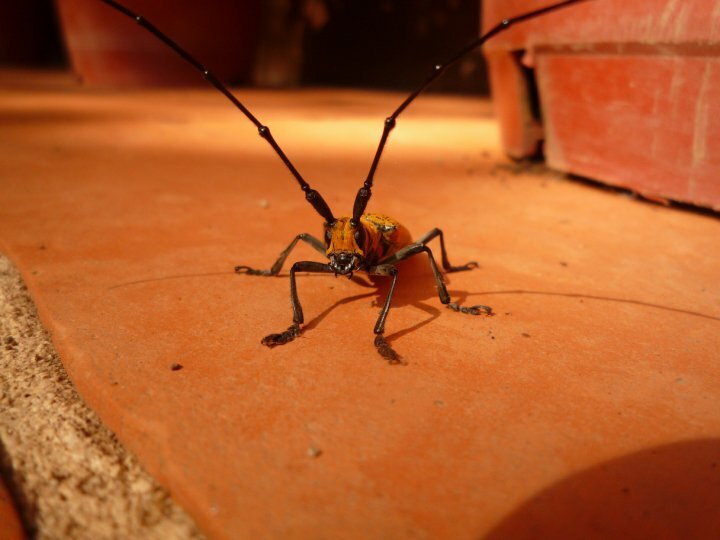 Bugs – do you love them, or hate them? I love them. 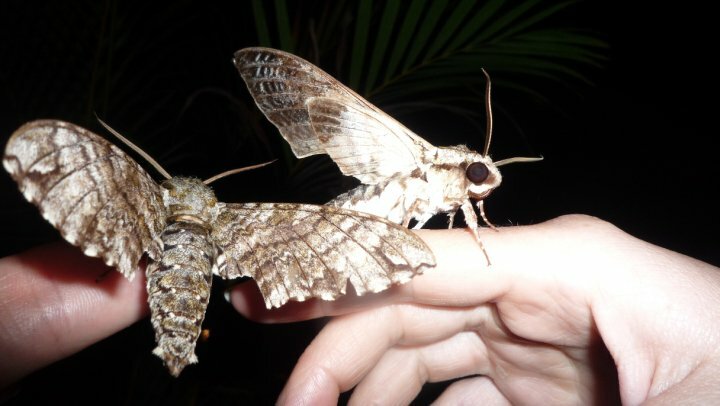 Ever since I was knee-high to a grasshopper, I’ve been keen to have some random creature in my hand, and because of their usual accessibility and small size, these creatures have usually been insects. Growing up in Houston in the USA, magical fireflies blinking at dusk were amongst the first to take my fancy, and I’d happily gather them gently into my bug-barn (as built by my Dad) and watch their eerie green glow. They sometimes accompanied me on the yellow school bus to take pride of place during show-and-tell. The large, green tomato horn worms (hawkmoth caterpillar) were also a favourite of mine to collect. I guess I must have been reasonably cautious in my collecting as, despite the many poisonous/stinging/biting/hairy creatures around Houston and picked up on various camping trips in the Rocky Mountains, I am happy to say I am still alive, intact, and fascinated! 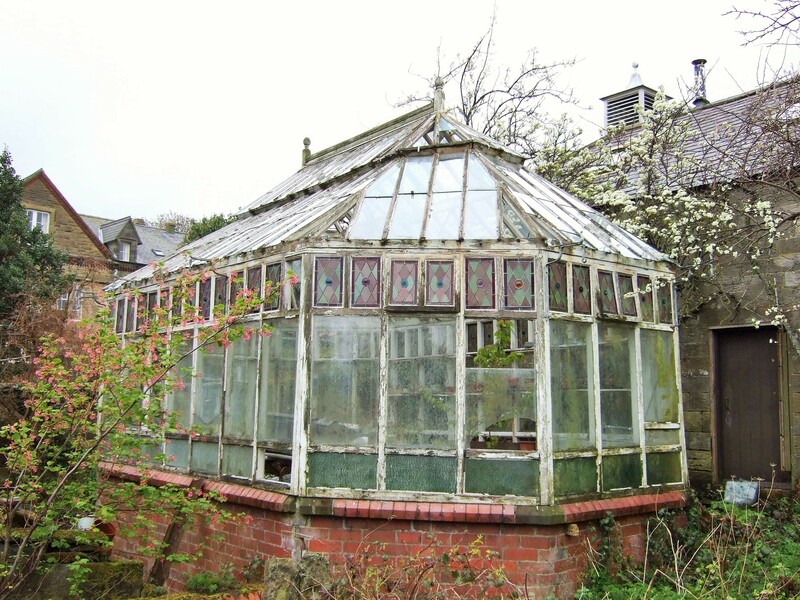 When my family later moved to Eglwysbach in North Wales, my bug-barn was constantly filled with a variety of invertebrates, though I soon discovered snails didn’t make good guests, as they slimed up the inside, creating a sticky trap for my next ‘pet’. Gerald Durrell’s book ‘My Family and Other Animals’ was a great source of inspiration. Although there weren’t quite so many bright and shiny insects here compared with the USA, I raised caterpillars – impressive mini-snake-like Elephant Hawk moths, fluffy Yellow-Tail moths, and notorious Cabbage White butterflies – poring over bug books to determine their food-plants, life cycles and characteristics, watching as the caterpillars turned into chrysalises, and the magical metamorphosis into butterflies and moths. 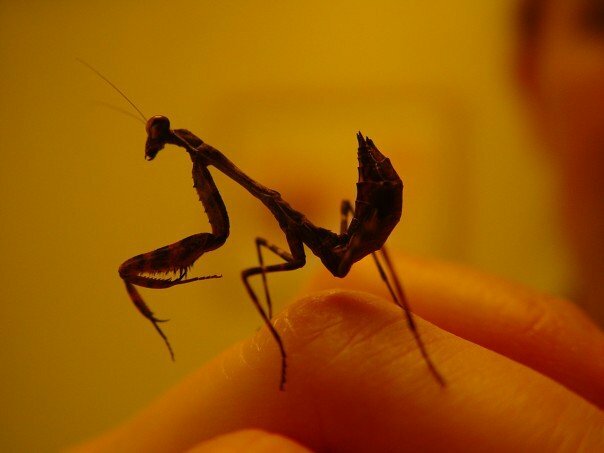 I also kept stick insects in a tank and ants in an ant-farm (which was not quite escape proof, to my mother’s delight!). At University, my dissertation was on seaweed flies – ironic because being at the University of Leicester, I was pretty far from the coast! Following graduation from University, I secured a job with a company near Edinburgh, and identified over 70,000 invertebrates as part of a project studying insect growth regulators. 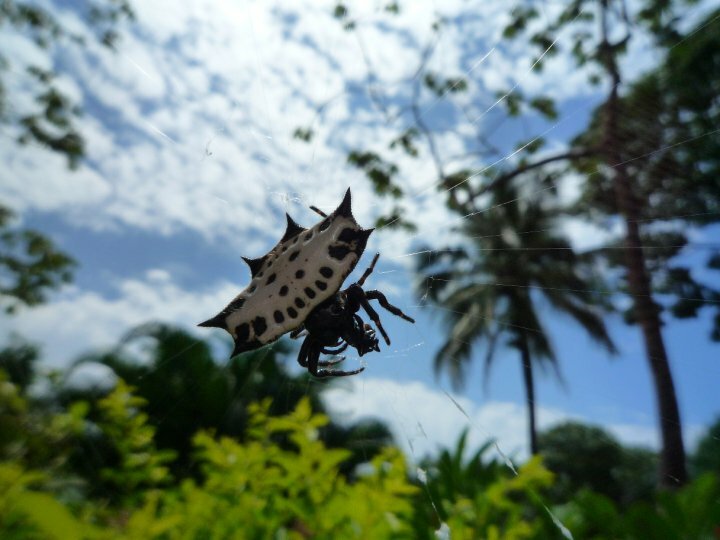 These insecticides disrupt pest insect development, and had been applied to livestock. 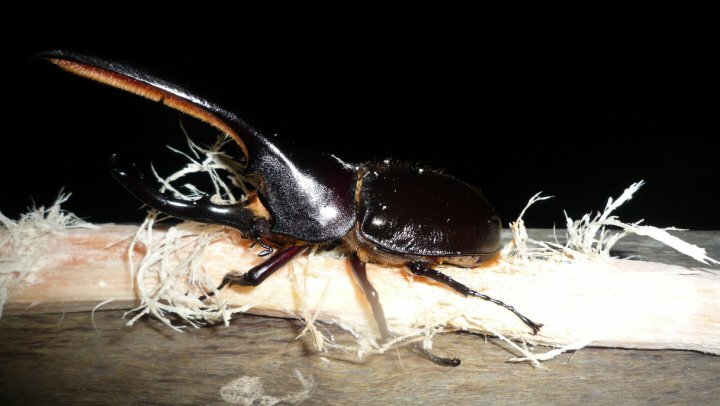 The study assessed for any effect on beneficial invertebrates in the field, with particular attention paid to dung and those insects such as dung beetles and dung flies, which help break it down. I usually had the whole laboratory to myself, due to the wonderful aroma. 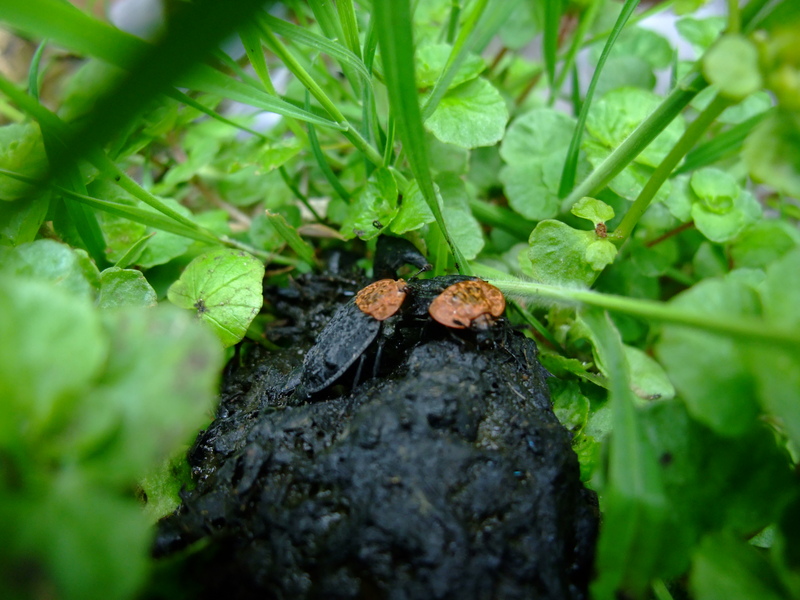 Insects continued to be a theme when I joined the Yorkshire Wildlife Trust as a trainee. I was able to delve into the identification of our native British species, and learned about the threats from habitat fragmentation and climate change. And now I’m working for the North York Moors National Park Authority. 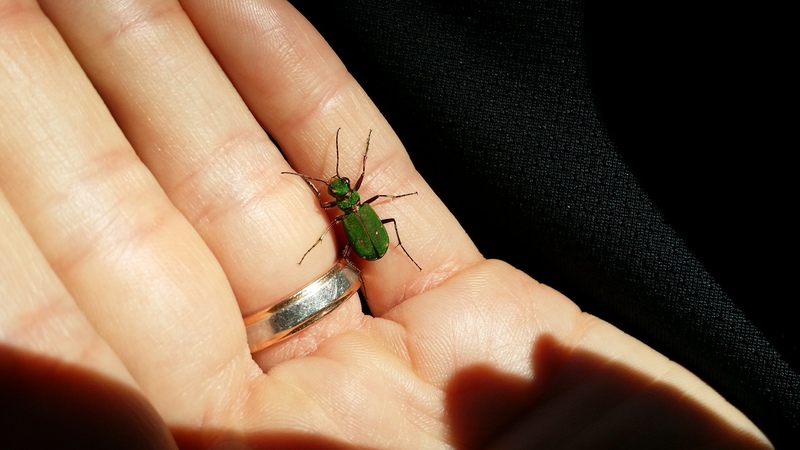 At the North York Moors National Park, I see a great diversity of invertebrates almost every time I venture out to grant aid the restoration of walls and hedges, and to advance our habitat connectivity programme. 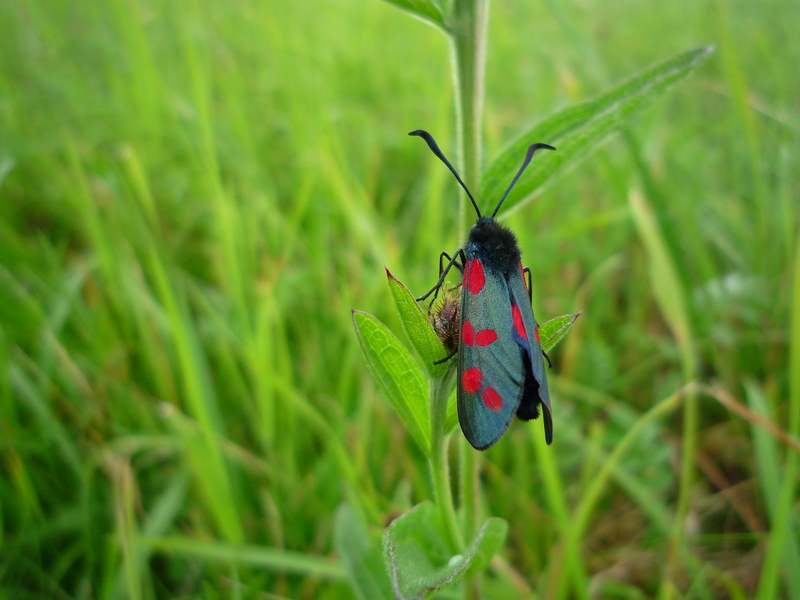 This summer has been warm and dry, and so has been particularly good for butterflies and moths. 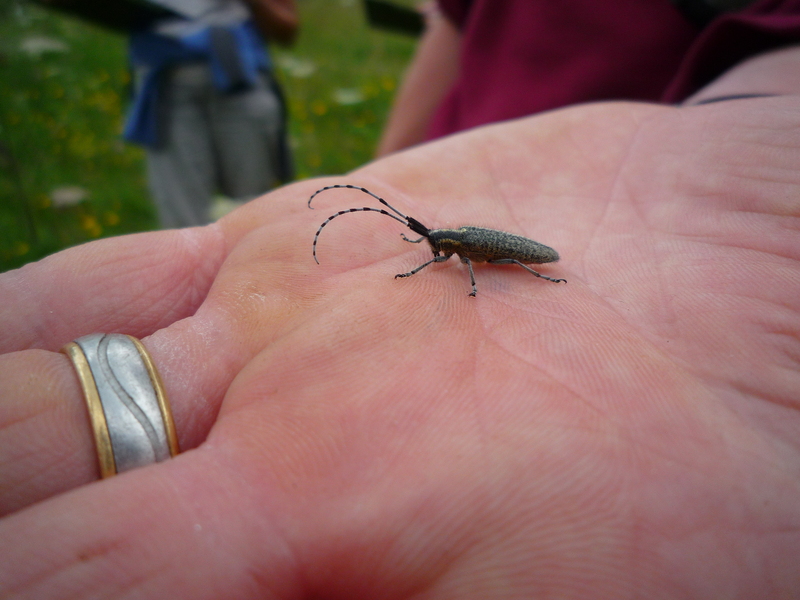 One of our regular volunteers found a lovely Golden-bloomed Grey Longhorn beetle up at Sutton Bank when we were surveying the species rich grassland. 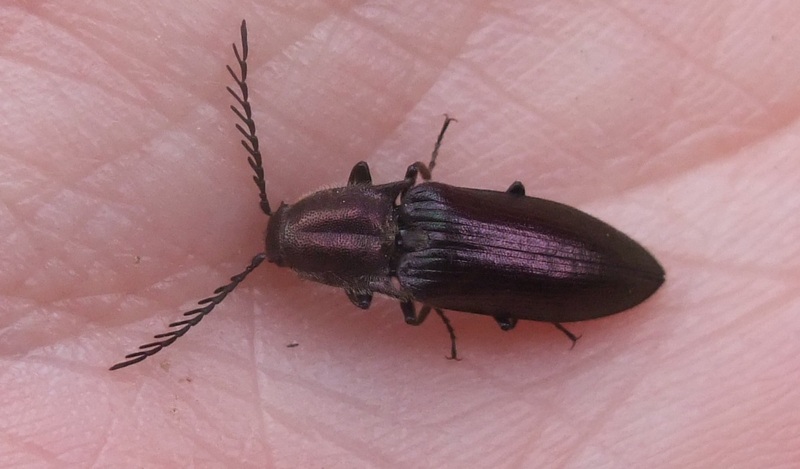 The beetle was particularly interesting as they are usually found in the south of England and not this far north. Another unusual beetle is the strange red-breasted carrion beetles, which we found near Lockton, on some dung. 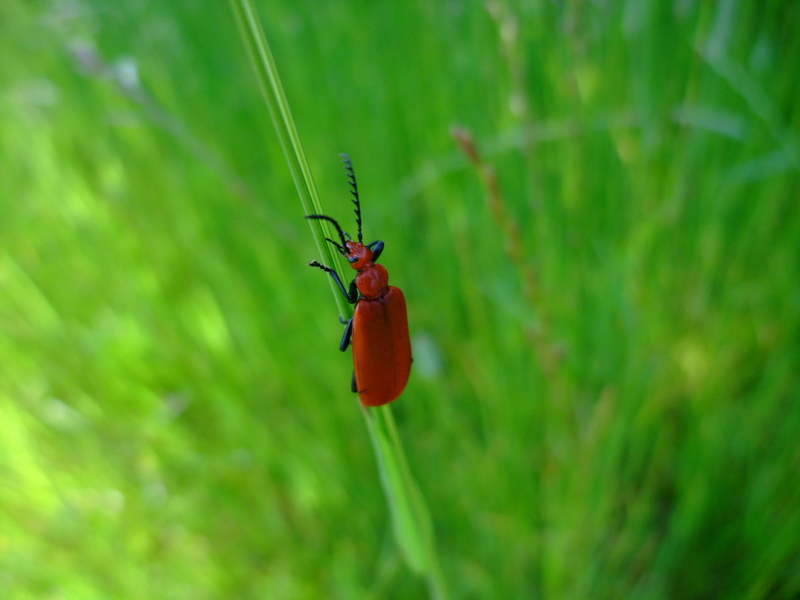 The lovely red-headed cardinal beetle and coppery click-beetle, are amongst the prettier beetles to be found in this area. 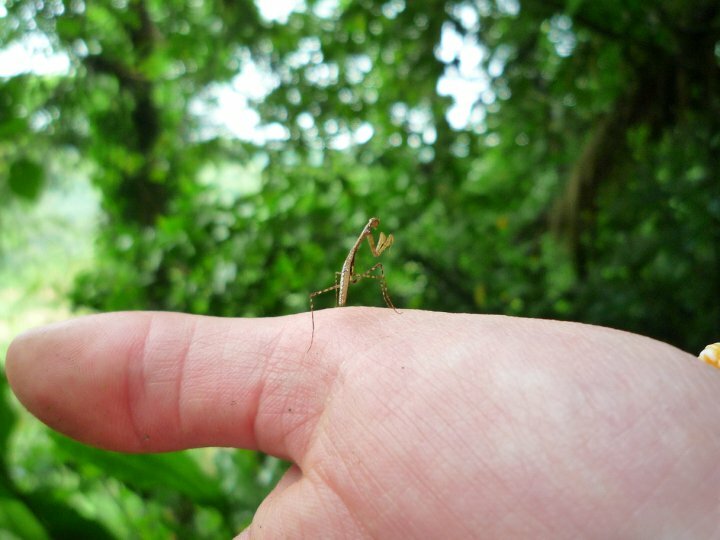 Costa Rica has proved to be an excellent holiday destination for someone interested in entomology. 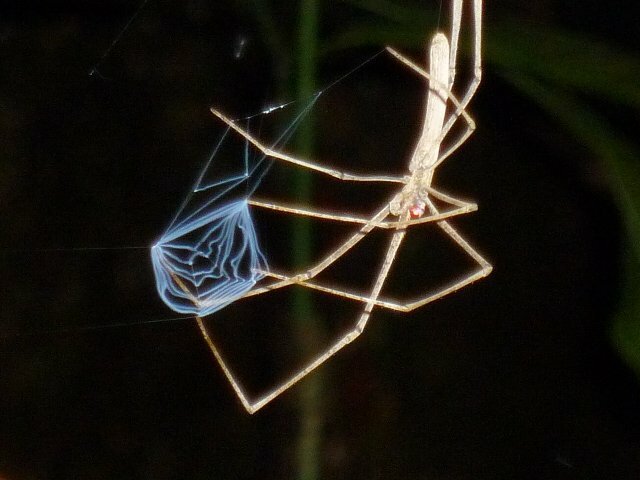 I saw a click beetle with glowing ‘eyes’ in the Monteverde Cloud Forest Reserve, a terracotta-coloured longhorn beetle posed for a picture, and during a night walk, I photographed a most incredible web-casting spider. 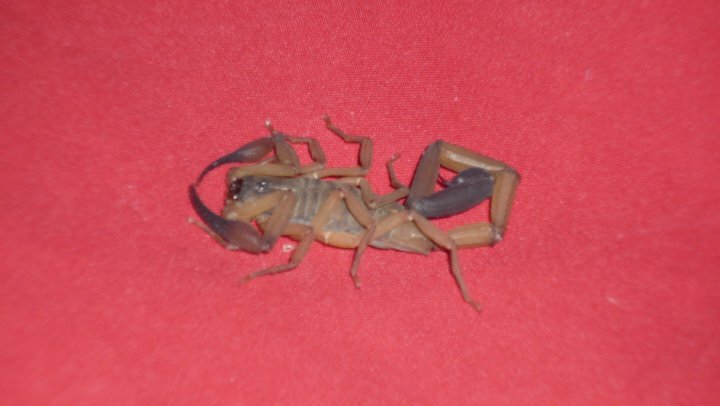 A scorpion also decided to bed down for the night in our suitcase…I couldn’t have been more delighted. On a trip this summer to Gran Canaria, I couldn’t help photographing some of the local insects, though this huge robber fly got a bit close to my head, even for my liking! 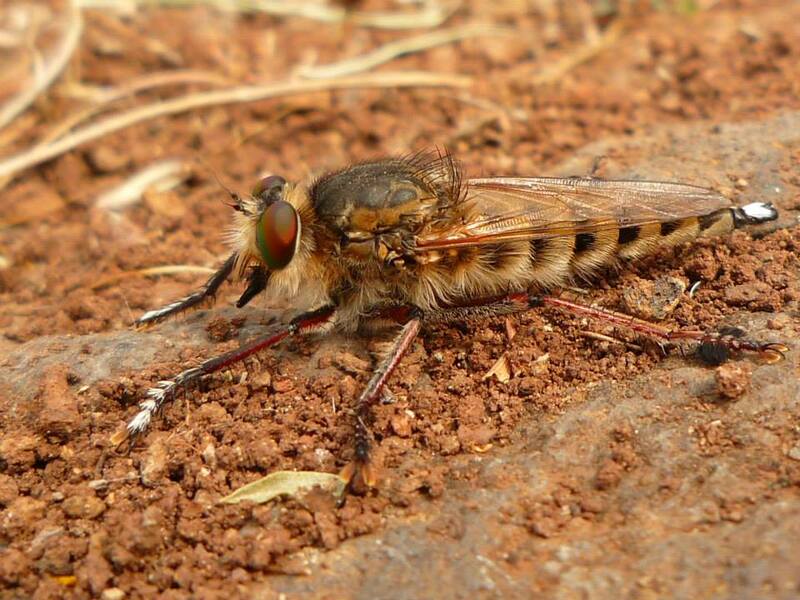 Robber flies ambush other flying insects, and even eat bees. Over the summer, I attended the Royal Entomological Society’s European Congress of Entomology, in York. The speakers were world-class, and discussed all sorts of issues such as controlling mosquitoes to rid the world of malaria, stepping in to help the last few endemic water beetles trapped in the Sierra Nevada as Spain becomes hotter and drier with climate change, and how incredibly useful Citizen Science has become through websites and apps such as iSpot. I know I can’t go for a walk without carefully lifting (and replacing!) various stones and logs, to see what I might find. You might be the same. You might like to have a go at building a bug hotel in your garden, then you can attract your own local mini-beasts. 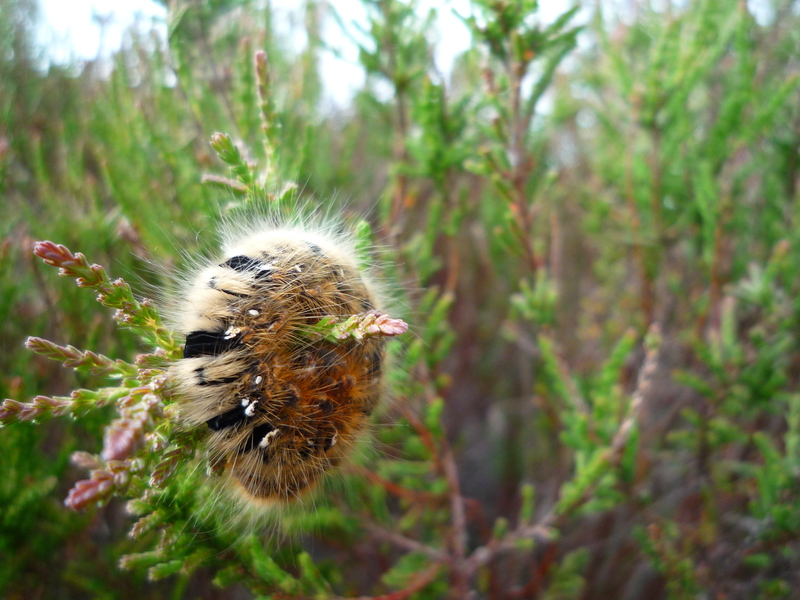 We have our own North York Moors National Park wildlife recording system, and we’re always keen to know what people have seen so we can build up a picture of what is about in the North York Moors. The information you give will help us conserve these amazing and vital creatures. We have our own Discovery Days, here in the National Park – the next one is 29 October 2014. 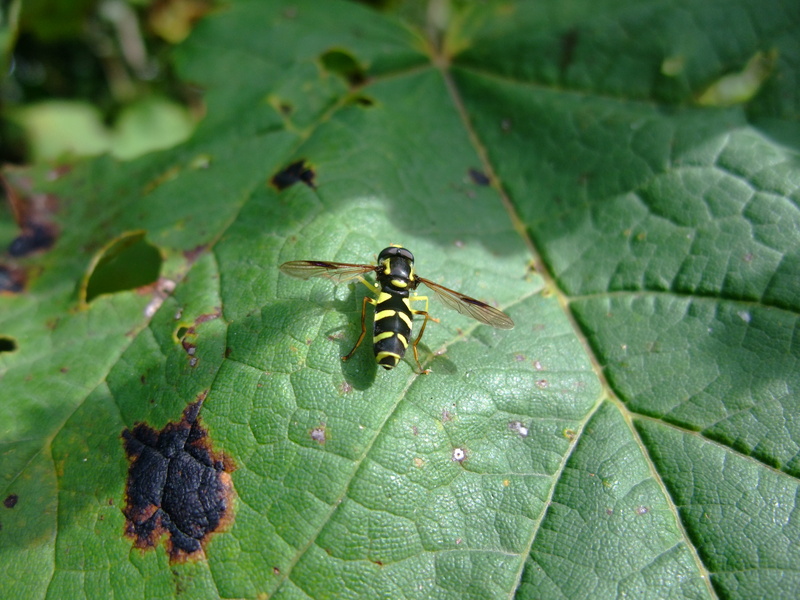 If you’d like to get more involved with bugs in the United Kingdom, the Amateur Entomological Society and Buglife have lots of information, activities and events. 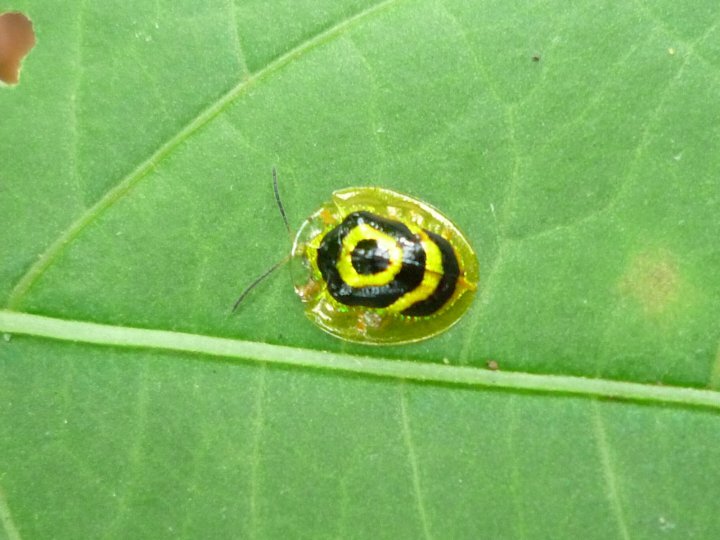 Watch out for National Insect Week events, such as bio-blitzes. There is no getting away from it, I love bugs. 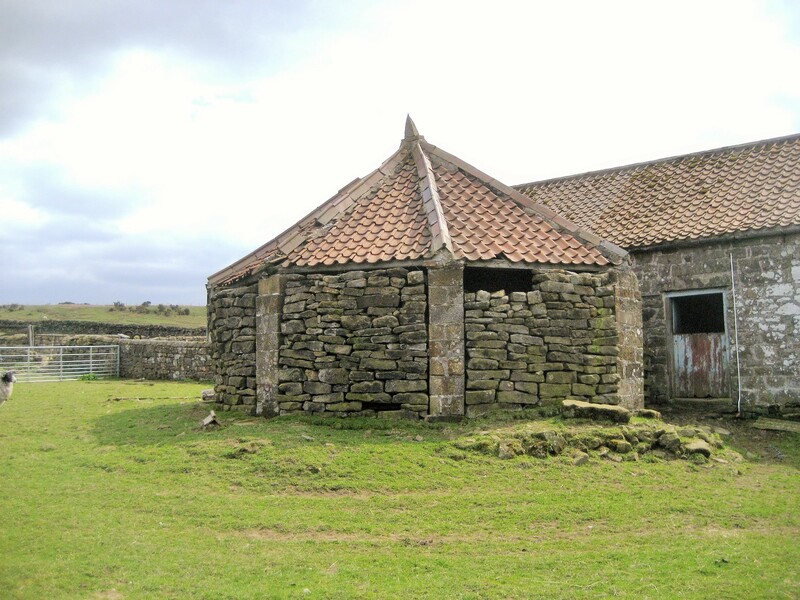 Last year the North York Moors National Park Authority took up the challenge of pioneering a more cost and time efficient way of surveying Listed Buildings (see our previous blog post). 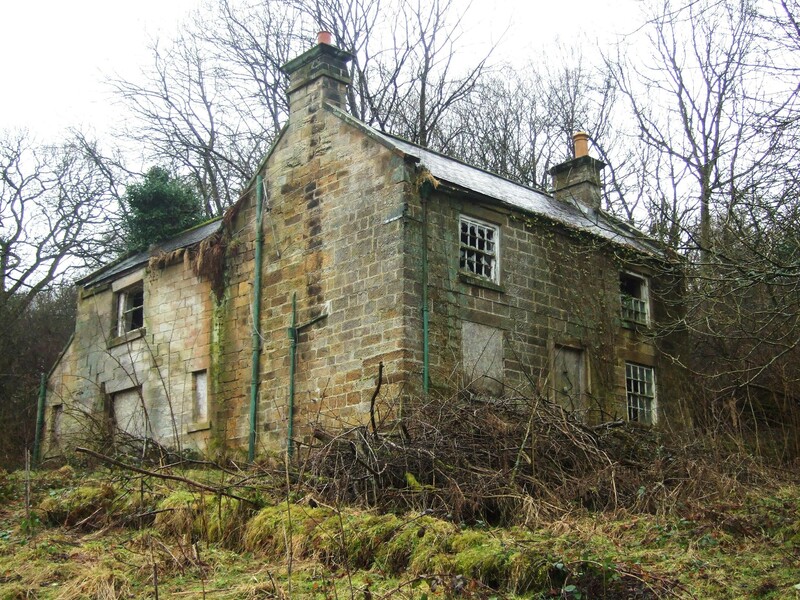 This was through an English Heritage funded project to come up with the best ways to assess the current state of nation’s Grade II Listed Buildings, for inclusion on the Heritage at Risk Register. 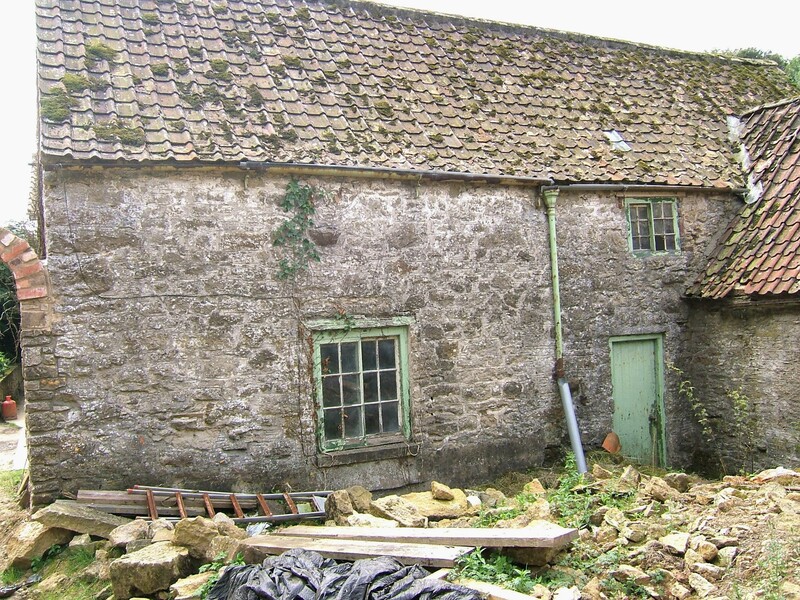 There are nearly 346,000 Grade II Listed Buildings in England, so it can seem an overwhelming never ending task. At the National Park we created a smartphone app loaded with historic data, photos and past survey results to help our Volunteers on the ground locate each listed building. The Volunteers then recorded data on the current condition and use of each building. This data was then synchronized to a database, reducing the risk of duplication or need for data manipulation back at the Office. From the nine pilot studies funded nationally, ours was the only study to develop a bespoke app and English Heritage are now developing a toolkit which will include reference to the app for other volunteers to use across the country. You can see the overall conclusions from the English Heritage project, here. And we won a prize – we were the runners-up in the Campaign for National Parks’ Park Protector Award 2014. The prize (bursary of £1,000) was in recognition of an exceptional project and its efforts to make a lasting contribution to the protection and conservation of the National Parks of England and Wales. We’re very hopeful that the success of the app and the use of volunteers will transform how this sort of data is collected and make nationwide collection feasible.